If those words conjure up a myriad of ultra cheesey, hard selling, traditional wedding proponents telling you why you want a red coated man shouting at you on your wedding day then you wouldn’t be far from wrong. That’s generally what a traditional wedding fair is like. They’re put together for couples who want a classic traditional wedding. But what if you want a wedding that’s unique and shaped around your relationship? Then look no further, I’ve got a list of the best wedding fairs in 2019 for you to visit. 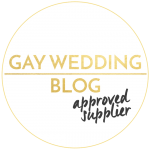 Before I dive in and share THE best wedding fairs for you to check out this I want to share some tips. As a wedding photographer I have attended a lot of wedding fairs and naturally, have spoke to a lot of couples so I’ve collated together the top advice for when you’re hitting the fairs. Do your research on which fairs to attend – have any of your recently married friends been to good ones? Are your booked suppliers attending any fairs (they might also be able to get free tickets!)? Read reviews and check out photos from previous years. Pick the right team to go with you – trudging round a wedding fair with someone who doesn’t share your vision is a major buzz kill. 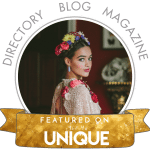 Go with an open mind – the right wedding fairs are brilliant for inspiration. So use them as an opportunity to feed your creativity. Be prepared to chat to folk – it’s scary to approach strangers, but by chatting to the businesses at the fair you’ll learn all sorts. They will be keen to talk to you. No question is a silly question! This is your first time getting married and the businesses at the fair will have been to hundreds. They’re always happy to share their expertise! For the love of normcore wear something comfortable. 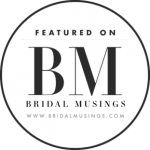 This is by no means an exhaustive list, but it’s a good selection nationally distributed wedding fairs that are going to bring you something different to the mainstream. You won’t find any weight loss or teeth whitening stands at these shows. THE UN-WEDDING has become synonymous with awesome styling, directional thinking and mouthwatering colour palettes. In keeping with THE UN-WEDDING aesthetic, brides and their tribes can expect to find cool bridal style at the core of each of event, with plenty of new ideas and fresh inspiration from THE UN-WEDDING’s handpicked selection of exhibitors. THE UN-WEDDING SHOW LEEDS takes place in the super-quirky Duke Studios in the heart of the city’s ‘cool quarter’, Sheaf Street. The venue is really popular amongst modern couple who are looking for a blank canvas to stamp their own personality onto. What’s the scores with doors? Open at 10.30am and closes at 4.30pm. Tickets available in advance here. Choose either VIB (includes a goody bag) or general admission. London based modern lovers looking for fashion led wedding style. THE UN-WEDDING SHOW LONDON takes place in Core Clapton, Hackney’s newest wedding venue. This light-filled space will be packed full of the best of the London wedding industry rebel hearts. Core Clapton, 161 Northwold Road, London, E5 8RL on Saturday 16th and Sunday 17th February. General admission tickets are £10 in advance, Very Important Bride tickets (which includes a free goodie bag) are £20. Buy them here. Doors open 10.30am and everyone is booted out at 5pm. Midlands based modern lovers looking for fashion led wedding style. THE UN-WEDDING SHOW LONDON takes place in the STUNNING Fazeley Studios in the heart of Digbeth. A popular wedding venue in the city’s colourful ‘creative quarter’. Fazeley Studios, 191 Fazeley Street, Birmingham, B5 5SE. Saturday 23rd and Sunday 24th February. General admission tickets are £10 in advance, Very Important Bride tickets (which includes a free goodie bag) are £20. Buy them here. Doors open 10.30am and the show’s over at 5pm. London based, discerning, creative couples looking for something unique and different! 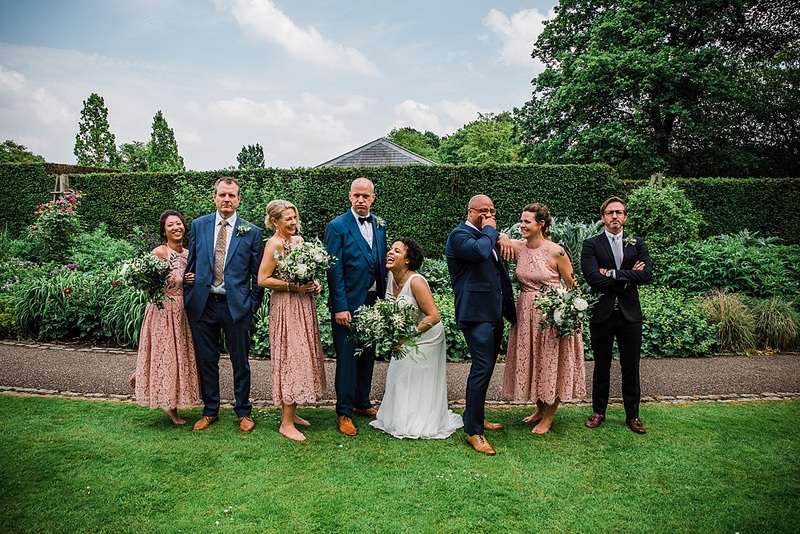 When you visit the Chosen Wedding Fair you can expect a veritable wonderland of sparkle, expert advice, inspiration in abundance, fresh ideas, personality and – most importantly – fun and smiles! Chosen offer the very best creative, quirky, stylish and trend-setting items that the industry has to offer. Islington Assembly Hall, Upper Street, N1 2UP on Sunday 10th March. Closest tube is Highbury and Islington. Open at 11.30am and closes at 3.30pm. Tickets available in advance here. £4 each in advance, £5 on the door. Not for the masses, only the bad asses. This is a weird and wonderful weekend for anyone alternative, geeky and diverse. The biggest show that The Eclectic Wedding Extravaganza has ever put on. Two dates and, for the first time, TWO VENUES. Just over the road from each other though. 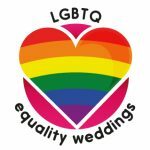 It’s going to be a a full weekend of wacky wedding wonderousness, bigger and better than before with around 100 amazing alternative suppliers. Saturday 16th and Sunday 17th March. The Bond Company, 180-182 Fazeley Street, Digbeth, Birmingham, B5 5SE. 12pm to 5pm Sat, 11am to 4pm on Sunday. Tickets available on the door but previous shows have always sold out. Buy your tickets in advance here. £10 – £15 for adults, children are free. Want a helping hand to kick start your planning, I’ve got you. Check out Club Tropicana for all the juicy tips, advice and one AWESOME download!